The Miami Tribe of Oklahoma wants the Fort Wayne City Council to rescind its decision to declare July 16 as Gen. “Mad” Anthony Wayne Day. 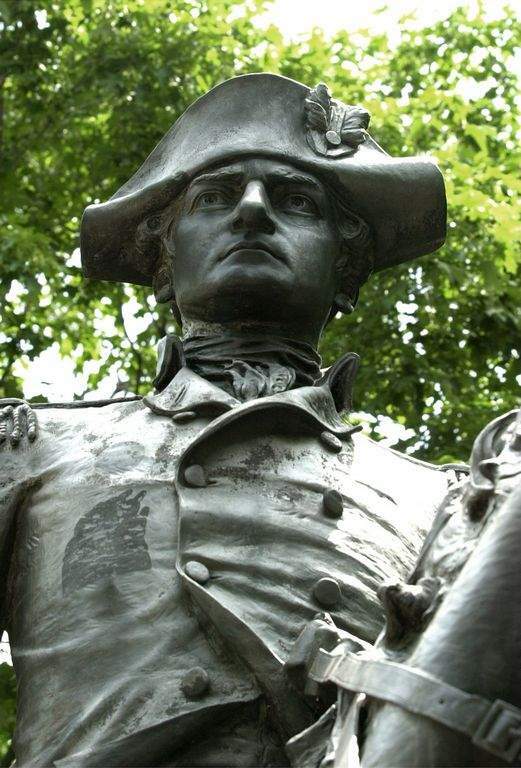 The Fort Wayne City Council approved the creation of “Mad” Anthony Wayne Day last month in a 6-3 vote. During discussion, Councilman Glynn Hines, D-6th, opposed the resolution because of how Wayne and the U.S. government treated Native Americans. The resolution was sponsored by Councilman Jason Arp, R-4th. Hines was joined by Councilmen John Crawford, R-at large, and Russ Jehl, R-2nd, in opposition to the resolution. The Miami Tribe, which operates a cultural resources extension office in Fort Wayne, found Arp's presentation erroneous and inaccurate, according to Julie Olds, the tribe's cultural resources officer. Attempts to reach Arp for comment Monday were unsuccessful. Crawford, who is council president, said Monday that members had just learned of the objections and hadn't had time to discuss whether to revisit the resolution. A letter dated March 22, written by Miami Chief Douglas Lankford, was sent to city council members describing Arp's presentation as “socially contemptible and historically inaccurate.” The letter was signed by four other tribal leaders. “The text of Resolution R-19-02-12 would have benefited significantly from review and input from professional historians and elected tribal leaders or their appointees,” a three-page position statement included with Lankford's letter states. Specifically, the statement contends that the Miami, Shawnee, Delaware, Ojibwe and other tribes were led by their own captains during the battle of Fallen Timbers on Aug. 20, 1794, not by the British, as Arp claimed. The statement also criticizes the resolution for failing to recognize the impact that battle had on tribal nations. Olds noted that there was an audience present at the Feb. 26 meeting where the resolution was presented, including members of a local Boy Scout troop, that heard the inaccurate information. “When history is presented or a person's viewpoint of history is presented and it's not factual or has errors in it – especially because it remains available online – it becomes part of the local history of record,” she said. Olds also said Arp did not contact any members of the Miami Tribe or the Fort Wayne Historical Society when researching his resolution. In a news release Monday, the Historical Society confirmed that it was not consulted during the drafting of the resolution. In the release, Todd Pelfrey, the historical society's executive director, said the Historical Society would “eagerly consider” a request from Fort Wayne City Council to address concerns regarding the accuracy of the history included in the resolution. “The organization adheres to a rigorous code of professional standards and ethics that requires historical interpretations to reflect thorough research, sound scholarship, temporal context and cultural inclusiveness,” the release states. This isn't the first time the designation has drawn criticism.